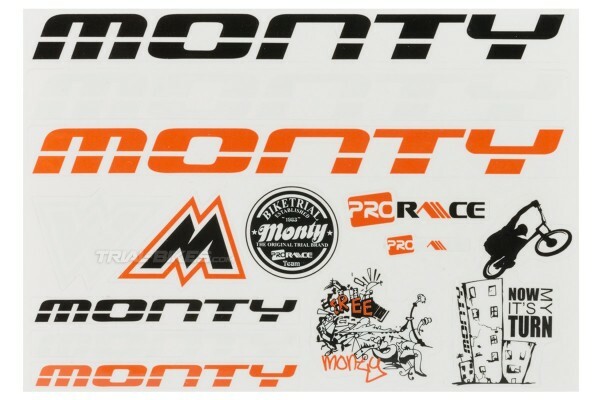 - Alternative sticker kit from Spanish brand Monty. 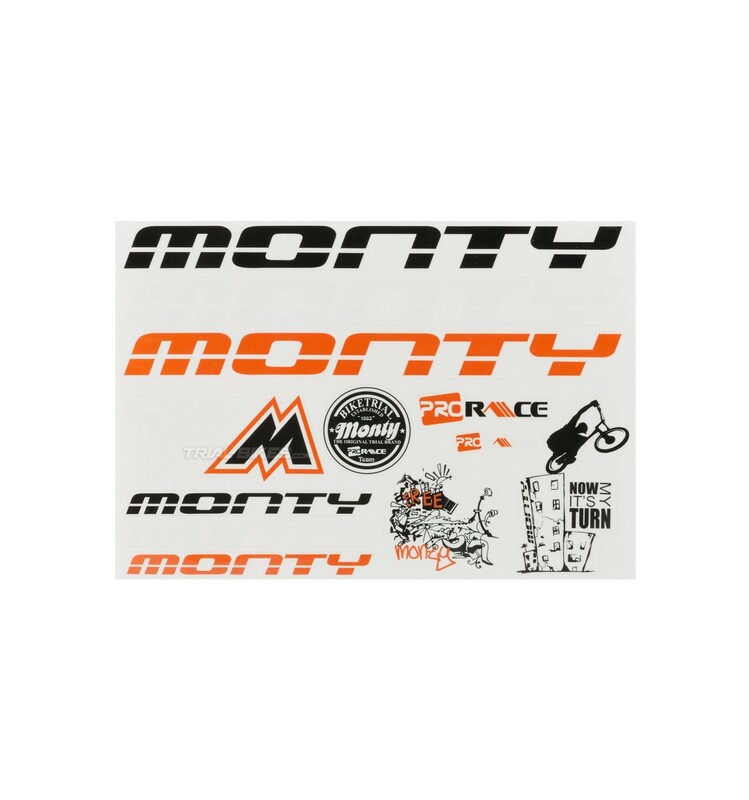 - This kit includes the new-style, updated Monty logos, as well as an assortment of several designs and sizes. - Each one of the stickers has been individually die-cut. - Easy installation, just make sure the ends are clean and grease-free.